You may primarily know Flir from its Flir One thermal camera — the one that attaches to the back of your iPhone or Android phone. Alongside its companion app, the Flir One translates thermal energy into real time color images that let you identify obstacles and danger spots in the dark — and even create pretty pictures. 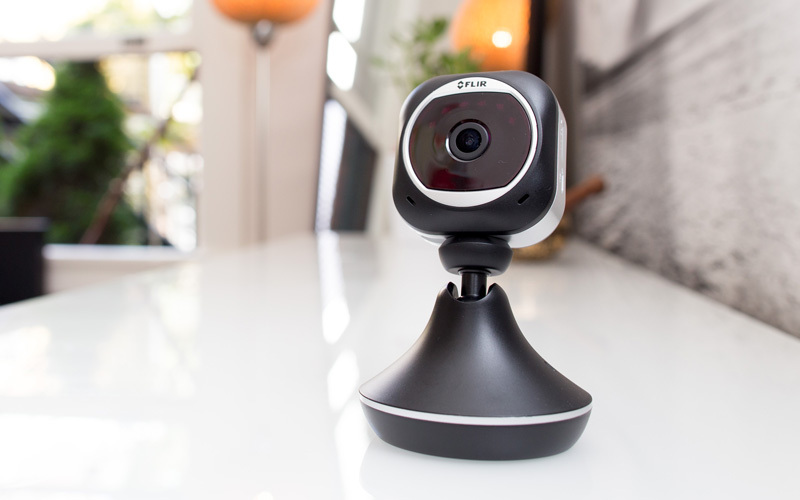 Today, Flir has launched a new video monitoring system — the non-thermal Flir FX — a compact, portable Wi-Fi camera that’s dedicated to home, outdoor or office use — and can also be used for sports and vehicle in-dash recording. The camera’s companion apps intelligently detect the accessory mount type being used and automatically switches the functionality and configuration for the best results. Flir FX records up to 1080p footage to an on-board microSD card for up to two hours — four hours when connected to the included indoor stand. An optional micro-USB power supply is also available for continuous operation when plugged into a power source. The FX cam operates by video motion detection, meaning the camera only records when motion is viewed within its 160-degree field of view. This preserves camera storage and battery life while also making it easier to focus on important motion in the area. 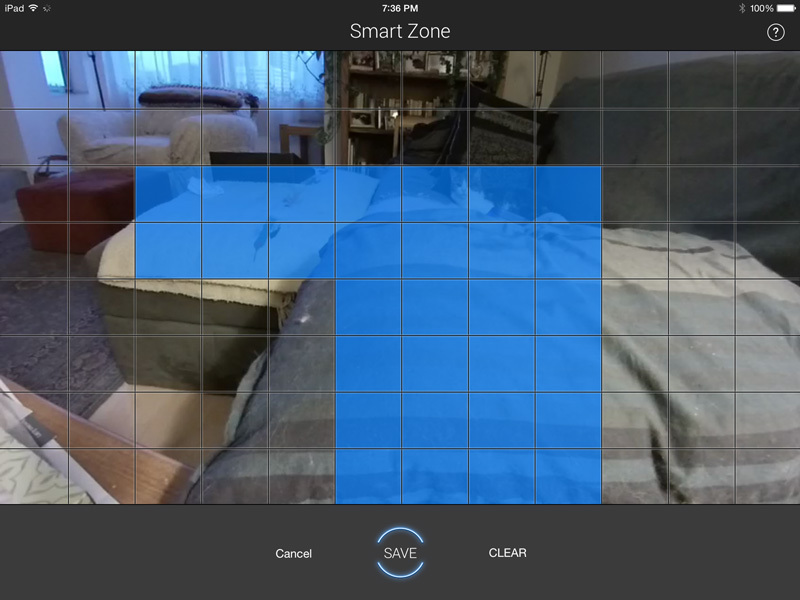 Features like RapidRecap and SmartZone keep the device trained on and recording only relevant activity. RapidRecap, BriefCam’s new Video Synopsis technology, creates a simultaneous presentation of objects, events and actions that occurred at different times to help users review footage more quickly. 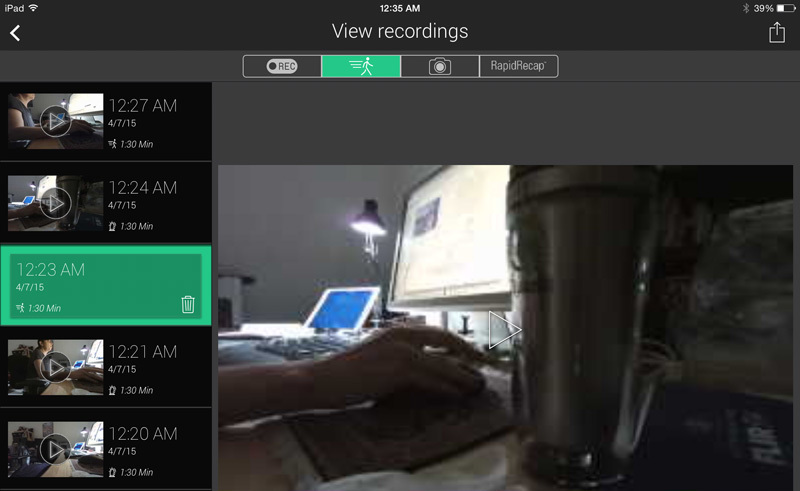 RapidRecap compiles cloud-recorded, motion-activated events into a condensed video clip, allowing users to review a day’s worth of video incidents simultaneously in a few minutes. All the activity the camera captures is superimposed, each with a separate time stamp. 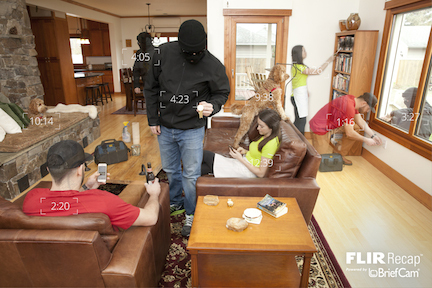 Just pick your desired timeframe via the Flir FX app and the cloud-recorded footage will be transferred into condensed video clips, reducing the time necessary to monitor recordings. 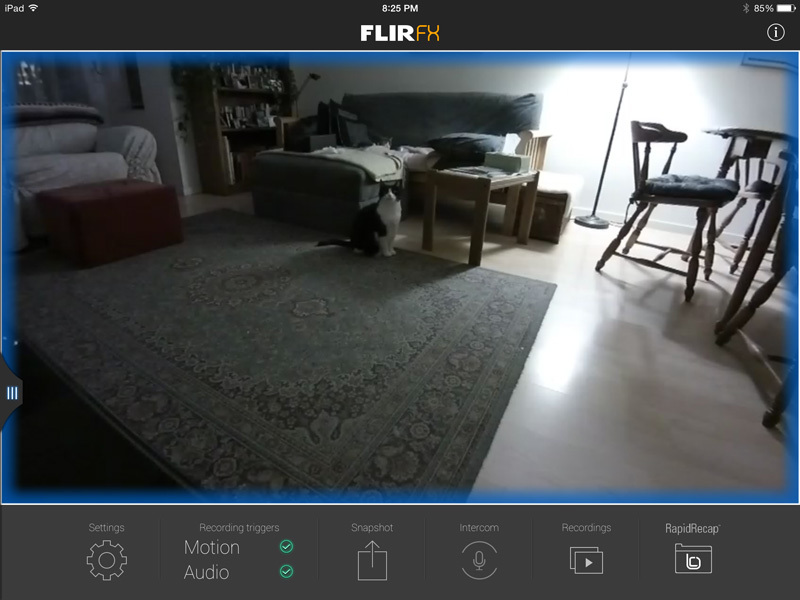 You can also download the clips you want from FLIR Cloud and share them with friends and family. SmartZone is an app feature that lets you adjust the sensitivity of the instant alerts function. It enables the camera to focus on places of interest — such as a cash register or specific windows and doors. It divides the field of view into a grid, letting you pick the specific grid boxes where motion will trigger an alert. Unselected boxes won’t trigger alerts, thus preserving FX from capturing irrelevant or needless footage. 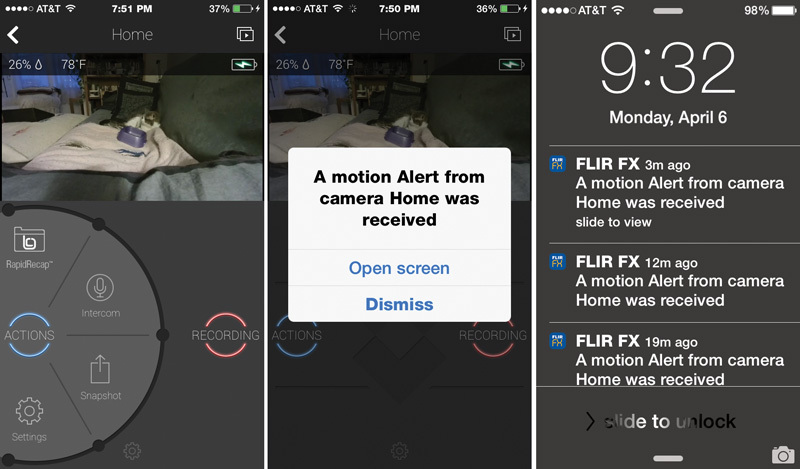 You can manage recordings via Flir’s free iOS or Android apps. 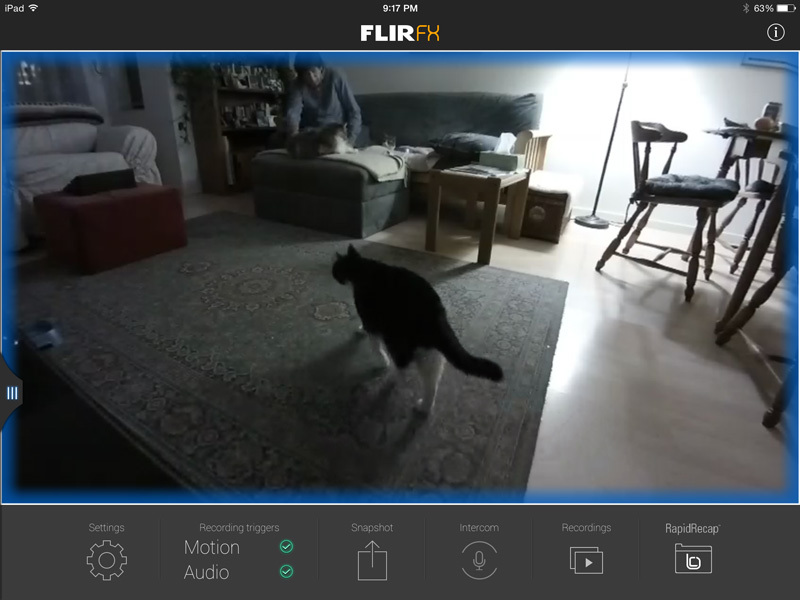 The Flir FX app — available on the App Store and on Google Play automatically detects the mount it is connected to, whether for security (indoor stand and outdoor housing), sport, or vehicle monitoring, so you can use the same camera for different purposes without hassling with different apps. The app also lets you control multiple cameras simultaneously, create push notifications for specific events, monitor temperature and humidity, and communicate via audio. 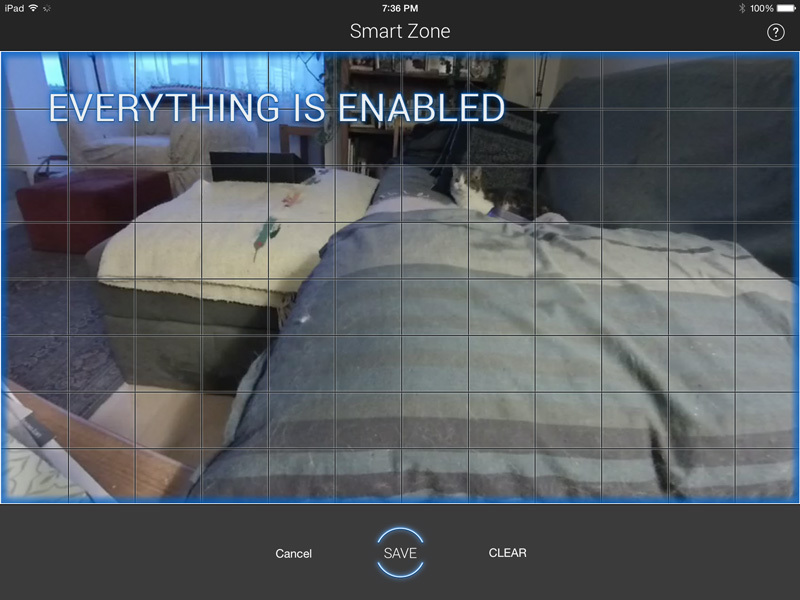 Should you want to salvage more footage than is available via on board SD card, Flir Cloud gives you a place to store Flir FX footage remotely. Flir Cloud services are available through three subscription plans: Flir FX includes complimentary access to Free Cloud Basic, which provides video storage dating back 48 hours along with three RapidRecaps per month. For more cloud storage days and an unlimited number of RapidRecaps, there is Flir Cloud Plus (seven days of storage) for $9.99 per month or $99.95 per year, and Flir Cloud Premium (30 days of storage) for $19.99 per month or $199.95 per year. The Flir FX is available in indoor and outdoor versions (with housing) for $199 and $249 respectively. All versions, plus the separate sports and vehicle dash mounts, are available for pre-order today in the US, UK and Canada, and then at retailers like Best Buy, Target, B&H, Amazon.com by the spring. The products will be available in other regions later this year. You can also purchase Flir FX on the Flir website. Every purchase of FX includes a 30-day free trial of Flir Cloud Plus, followed by a free subscription to Flir Cloud Basic.